Vadodara is one of the most famous tourist destination in state Gujarat in India. The city is known as the heart of Gujarat and is also an educational hub of Gujarat. Vadodara is located on the banks of the river named Viswamitri River. The city is connected with all major cities and metros through road, air, and train. The very famous Maharaja Sayaji Rao University is located in Vadodara which offers all kind of courses and educational facilities. Vadodara is also known for Refineries and Industries. The city is rich in flora and fauna as there is a large number of Gardens having trees and flowers. The city has its own international airport. Vadodara is also famous for its Gujarati food. Some of the famous dishes of Vadodara are Khaman, ice khaman, poha, sasuma and mohanthal. Here are some of the best places to visit in Vadodara for a perfect holiday vacation. Sursagar Lake: Sursagar lake also known as Chandan Talao is situated in the middle of the city. Sursagar lake remains full of water throughout the year. The lake is also famous for boating. Sayaji Baug: It is one of the largest gardens in Western India. The garden was built by Maharaja Sayajirao. The garden is home to the museums, zoo, toy train and other attractions. It is one of the most visited gardens in India. Aurobindo Ashram: The Ashram was founded by the famous Indian freedom fighter named Aurobindo Ghose. He was a philosopher and yoga guru. It is the park where you can relax and meditate. The ashram is home to a library and a study room. Champaner: Champaner is a historical city located at a distance of 47 km away from Vadodara. The city was founded by Vanraj Chavda and is a UNESCO World Heritage Site. The city is also famous for forts and heritage monuments. 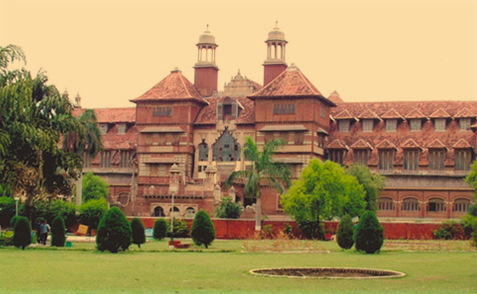 Laxmi Vilas Palace: It is a majestic building and the residence of the royal family of Vadodara’s. The palace was built in Indo-Saracenic architectural style. There is a place named Durbar Hall in the palace where music concerts and cultural events are held.